This entry was posted in Amarok. Bookmark the permalink. Sorry for being off topic, but what is the name of that task manager in the screenshot? Congrats on the release. I might try it out! Don’t know for sure, but one candidate is smooth tasks, it looks very similar. But the normal task panel widget does have text on every task. While smooth task widget is by default “icons only” mode. Like in the screenshot. Not necessarily Check the settings. Amarok is a nice OS – it lacks a media player, though. 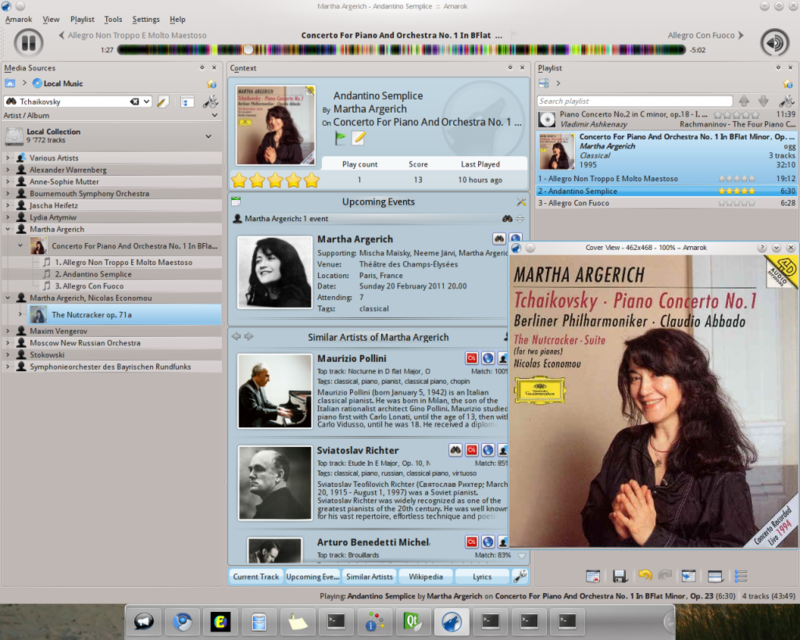 Using KDE 4.5.85 (4.6 Beta2) compiled on 13-dec-2010) . The quality and attention to details are beginning to be evident, thank you for your effort. Just one note: why you never focus users attention on the playback quality of loseless file thanks to the option”direct hardware device without any conversions” (bitexact playback) in phonon playback settings? 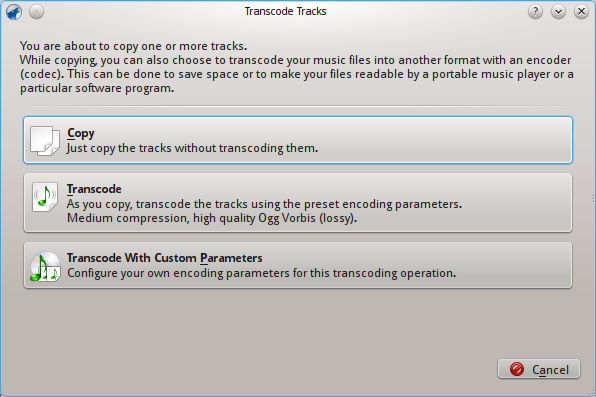 Who like listen quality music (hi-fi) are looking for these features, look at WASAPI plugin for foobar2000 for example, we have native support for it, thanks to alsa/phonon framework, promote these features I think would be a right thing. NO!!!!! sorry for my bad english, I’m talking about a features that I found while configuring Amarok not a bug! Under Settings->Configure Amarok->Playback->Sound System Configuration->Configure Phonon-> Music-> Output device I can choose “Direct hardware device without any conversions”, that should mean that the audio bitstream isn’t processed by any software mixer, so I have a bitexact playback. That’s amazing, not a bug!!! I was wondering why do not you annoverarate between the potential for amarok. N.B. : when I say “I can choose “Direct hardware device without any conversions”, I mean like output device. You could tell alsa not to use dmix and talk directly to the device. Obviously you will lose the possibility to have 2 sounds at the same time. As far as I understand if you set the volume to 100% both in amarok and kmix (alsamixer) no mixing is done (provided that only 1 sound source is playing at the same time). I couldn’t say from the screenshot that it is a music player. Too much clutter. But you can switch of nearly all elements. Such a configuration, however, would be kinda awkward for presentation screenshot. Is there hope that the awsome Shoutcast directory support from 1.4 is coming back to the default Amarok anytime soon? But I think people would be amazed to install a media player and have a huge list of categorized stream already available. Instead now people that remember that feature go hunt and finde that script. But the rest is left out in the cold and have to copy and paste radio stream urls that they found using the Shoutcast webpage. What’s going on with all the colors in the playback seeking bar on the top of the window? That’s the moodbar display for the playing track.